Ryanair’s new hand baggage policy of not allowing passengers to take small suitcases with them for free is against the law, a Spanish consumer rights group has claimed. FACUA-Consumidores en Acción alleges that the airline’s new system, which comes into force from November 1, is simply a way to make more money and recoup the millions of pounds worth of compensation paid following recent strike action. It says that customers should be allowed to take all hand luggage on to an aircraft free of charge, but the Dublin-based airline has labelled the claims as ‘clearly false’. The consumer watchdog has been quoting Spain’s Law of Air Navigation which, it claims, allows people to bring all hand luggage free of charge. The only exception, it says, is if the piece of equipment or object is too heavy or too big in relation to the size of the plane, in which case staff can take it away. FACUA quotes article 97 of the ‘Ley de Navegación Aérea’ as ruling: ‘The transport provider will be obliged to transport free of charge in the cabin, such as hand luggage, the objects and packages that the traveller carries with them. 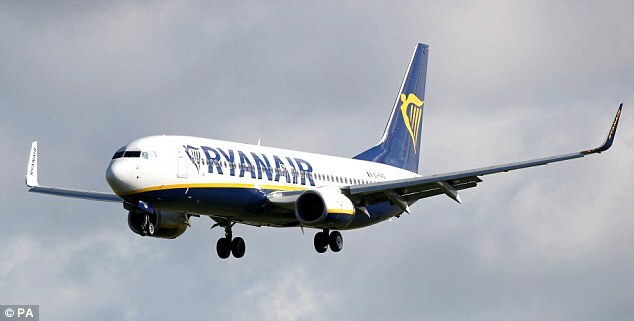 The group has warned that Ryanair may be violating the regulations and has asked the Spanish Government to intervene. WHAT IS RYANAIR’S BAGGAGE POLICY? Even seasoned fliers find Ryanair’s baggage policy confusing, so here’s what you need to know. The point of confusion with the policy centres around the carrier’s assertion that every customer is granted a ‘two free carry-on bag allowance’. This needs clarification, because what the airline actually means is that all customers can bring two free carry-on bags with them to the airport and up to the gate, but that the larger of the two bags will be transferred at the gate to the hold. Unless a ‘priority boarding’ fee is paid. Priority Boarding can be purchased at time of flight booking for £5 or £6 on selected routes. It can be added for £6 or £7 on selected routes up to 30 minutes before scheduled departure time on the Ryanair App. However, from November 1, the baggage policy is set to change again. Passengers without priority boarding wanting to bring a second big bag with them will have to pay between £8 and £10 to check in a bag up to 10kg or £25 for a bag over that weight (but not exceeding 20kg). However, if a passenger opts to pay for priority boarding, which costs between £6 and £8, they can still take two bags with them on board with no extra charge. All passengers will still be allowed to take one ‘small personal bag’ on board, to be placed under the seat in front. Under the new rules, from November, all passengers will need to pay for any bag that won’t fit under the seat in front. The current bag policy stipulates that unless a passenger has paid a nominal fee for ‘priority boarding’, if they turn up to the gate with a bag bigger than 35cm x 20cm x 20cm it is placed in the hold at no extra charge. 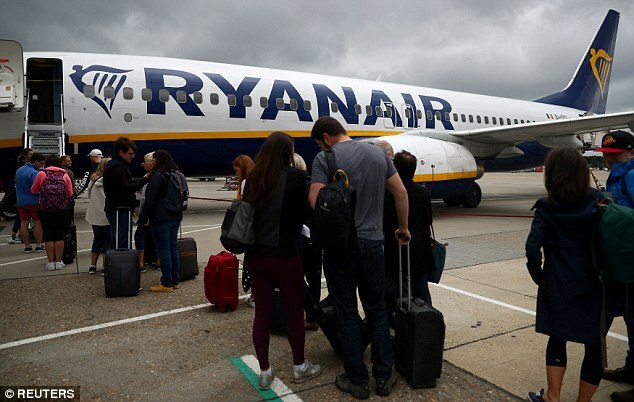 But from November Ryanair has said that passengers wanting to bring a big bag with them will have to pay between £8 and £10 for a piece of luggage up to 10kg or £25 for a bag over that weight (but not exceeding 20kg). The fee has to be paid either at the booking stage or at check in – and the bag has to be checked in. If a passenger turns up to the gate with a bag too large to be classed as hand luggage they will be charged a £25 gate bag fee. However, Ryanair’s priority boarding rules stay the same. If a passenger opts to pay for this, which costs between £6 and £8, they can still take two bags with them on board with no extra charge. All passengers will still be allowed to take one ‘small personal bag’ on board, but this must be small enough to be placed under the seat in front. Ryanair said it was increasing the size of the small carry-on bag that remains free to take on board from 14 to 20 litres. The airline has already altered its luggage policy twice this year and says the latest changes were necessary because too many passengers were arriving at the gates with big bags and placing them in the hold has been causing delays.